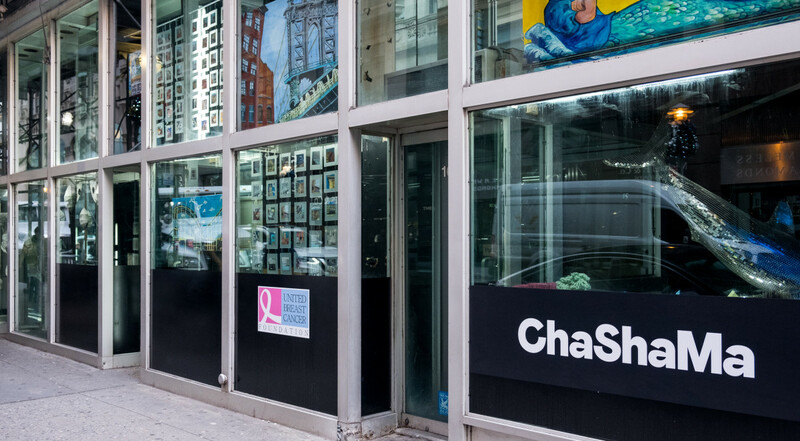 United Breast Cancer Foundation (UBCF) has partnered with ChaShaMa to provide artists impacted by breast cancer with coveted ground floor window space in New York City’s Diamond District on West 47th St. in Manhattan, NY. A ribbon cutting ceremony hosted by 47th Street’s Diamond District BID will be held on January 24th at 4:30 pm with a celebratory reception to follow for artists and guests at 580 Fifth Avenue, 10th Floor. Guests must send an RSVP to rsvp@diamonddistrict.org. The installations will remain on view for through June 16, 2019. Alícia Degener, Ann Tarantino, Jisook Kim, and the Lower Eastside Girls Club have been commissioned to place site-specific installations of their artwork in the windows of a vacant Diamond District Jewelry Center building spanning multiple addresses. The Window Spaces receive heavy foot traffic in the heart of New York City’s Diamond District, giving coveted space to the exhibiting artists to present their work, engage with communities impacted by breast cancer, and bolster awareness of UBCF’s commitment to breast health and wellness. Learn more about the artists.